Full Potential Fitness: Greens Are Good...Or Are They? Greens Are Good...Or Are They? We all know veggies are good for us and we should eat at least 5 servings a day, or should we? Last year during a doctor's appt that I scheduled specifically to check my hormone levels the doctor said my thyroid was enlarged. Great information, but he never once asked me what I ate on a regular basis. I'm a hypochondriac. Of course, I scoured the Internets looking for why my thyroid might be enlarged. FYI I L♥VE Kale! 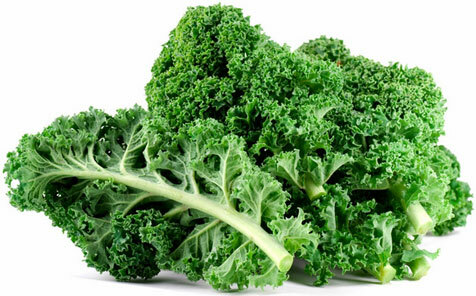 Like seriously L♥VE Kale. I also enjoy eating Cabbage, Broccoli, Kale, Brussel Sprouts, Cauliflower and other cruciferous vegetables. All of these contain substances called goitrogens. So what are Goitrogens? Goitrogens are substances (whether in drugs, chemicals, or foods) that disrupt the production of thyroid hormones by interfering with iodine uptake in the thyroid gland. This triggers the pituitary to release TSH, which then promotes the growth of thyroid tissue, eventually leading to goiter. I typically ate kale for breakfast (egg whites and Kale), lunch (the Kale / Broccoli salad), and dinner (Kale as a cooked side or in more salad). Does it mean these veggies are not good for you? No, because goitrogens are neutralized (partially) by cooking. Cabbage, Broccoli, Kale, Brussel Sprouts, Cauliflower and other cruciferous vegetables should all be cooked prior to consuming. Having them raw once in a while won’t do you any harm, but juicing or eating these veggies raw several times a week over several months or more can certainly cause thyroid issues. I still haven't really found a replacement for my egg whites and Kale breakfast, but now mix some Arugula in with it and it is cooked. I no longer eat the Kale / Broccoli salad I was having every day for lunch, I have a spring mix now instead. And I occasionally have a side of cooked Kale with dinner. Ideas for other veggies to use in my egg whites are welcome!